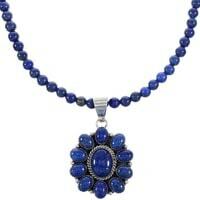 It’s difficult to ignore the enticing draw and eye-catching allure of a perfectly placed and accentuating necklace. For centuries, individuals have adorned stunningly bejeweled and elegantly draped chains and ropes along the neckline to signify both status and religious affiliation, but to display a public billboard of taste and distinct personality. And it’s a trend that transcends culture and era. From the Native American tribes indigenous to the American southwest, to the poised Victorian beauties that cemented an era of elegance, necklaces have been used to both convey a message, and captivate an audience. And while the unique reasons for adorning a necklace tend to vary by region and time, the mesmerizing allure hinted in the subtle stun of a bejeweled neckline is unparalleled. SilverTribe, a leading carrier of fine jewelry, is proud to announce our collection of stunningly simple and exquisitely glamorous sterling silver necklaces. And it’s a collection rooted in versatility, as each one of our meticulously crafted pieces presents a fresh mixture of jewel, length, shape and texture combinations, to ensure you’ll find the perfect sterling silver necklace that inspires you. 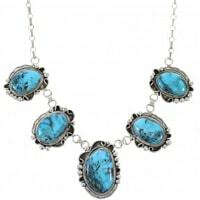 And now, SilverTribe invites you to explore our incredibly vast selection of exquisite necklaces, and we hope you’ll find the perfect sterling silver to captivate your unique audience. 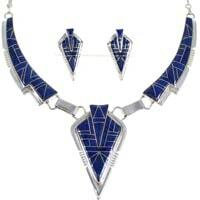 Browse each sterling silver necklace here. 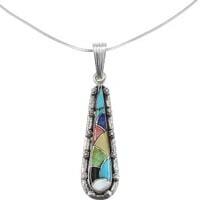 A sterling silver necklace is one of the most versatile kinds of jewelry any individual can adorn. 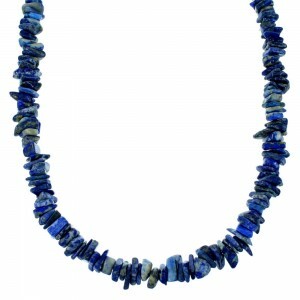 Not only are chains, chokers and beads vastly varied in their length, structure, shape and size, but they are also supremely unique in the particular frames and individual styles they accentuate. 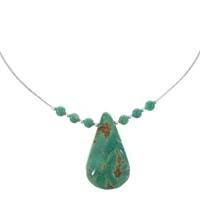 Lariat necklaces tend to be somewhat lengthier jewels, and can be adorned several different ways. 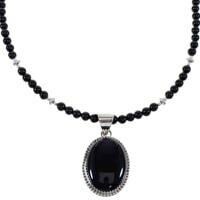 Wearers can loop, knot or tie the sterling silver necklace to their personal preference. Lariat necklaces provide the perfect accent for a daringly bold, plunging halter top. 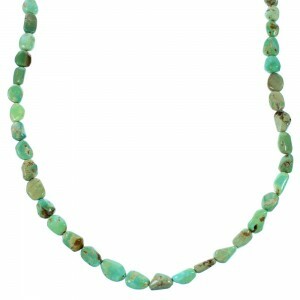 Rope necklaces are extremely similar to lariat necklaces, but they are typically worn as a single, rope-like chain. And although the length can be worn with any particular cut or hem, a sterling silver necklace in rope fashion will look stunning with a v-neck or halter. 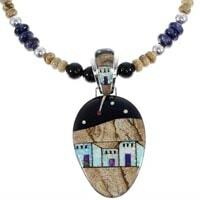 Opera necklaces typically extend 30 to 35 inches in length, or 75 to 90 centimeters. Opera necklaces are especially classic and universally flattering pieces, as they drape just beneath the breastbone to accentuate an eye-catching collar bone. 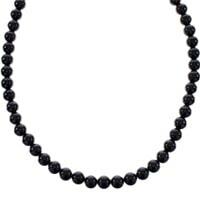 This sterling silver necklace can be worn as a single strand, or looped to resemble a choker. 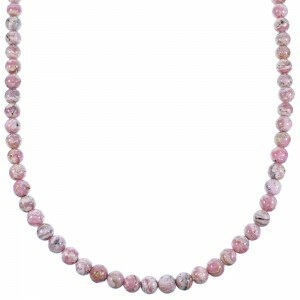 Matinee necklaces are somewhat longer than opera necklaces at 35 inches in length, but they convey the same kind of classic beauty that opera chains are known for. This sterling silver necklace is found most flattering when paired with a bust-accentuating sweetheart neckline, or a traditional straight-line halter top or dress. Bib necklaces are the epitome of elegance. Most famously worn by the Victorian royalty and upper-class to signify status, the sterling silver necklace resembles a child’s bib. That is, if a child’s bib was adorned with a stunning pallet of vibrant hues and lustrous jewels. Choker, or princess, necklaces are shorter in length than other kinds of necklaces (14 to 16 inches, 35 to 41 centimeters), but the impression they can leave on a captivated onlooker is infinite. Chokers are best paired with a high, rounded neckline dress or shirt, a boat neck/bateau neckline skimming the collarbone, and empire necklines, but can truly be worn with any trim. 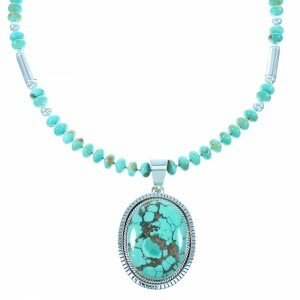 The jewelry found at SilverTribe contains both unique pallets of vibrant, earthy colors, as well as traditionally classic sterling silver pieces to match your personal preference. 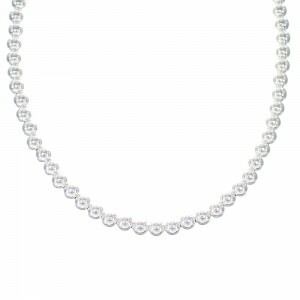 But while women tend to sport a classic sterling silver necklace most often, more and more men have begun to learn the kind of unspoken class and style associated with adorning a unique chain. Uncover the multiple ways you can arouse your inner style and class with our collection of exquisite, sterling silver necklace and jewelry lines. Prized for its bull-like durability and strength, but revered for its lustrous shine and classic beauty, sterling silver has cemented itself as one of the most sought-after metals for centuries. A strengthened hybrid of its soft and scratchable pure-silver cousin, sterling silver is a unique blend of 92.5 percent pure silver, and various other alloys. The meticulously blended concoction works in harmony to provide a metal that is both sturdy, and exquisite in shimmer. While the metal has been used in a vast array of cultures, societies and eras, much of the jewelry at SilverTribe comes paired with a dash of southwest flare. 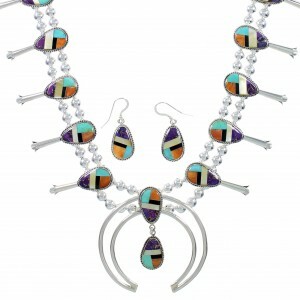 For decades, Native American craftsmen and craftswomen have used the metal as a vehicle for presenting, and adorning, some of nature’s most cherished jewels, rubies and stones in a sterling silver necklace. Each sterling silver necklace found at SilverTribe is accented with a mesmerizing blend of angelically curious turquoises, multicolored blends, vibrant corals, mysterious onyxes, piercingly light-blue denims, and earthy ambers. And what’s more, this assembly of precious stones can be found in nearly all aspects of the jewelry that SilverTribe offers, from bracelets, bolos and buckles, to pendants and earrings. These artists sought to not only reflect the natural hues embedded in the richly-colored southwest landscape, but to reflect the spirit and mysticism of their culture as well. Although a sterling silver necklace found at SilverTribe will be undoubtedly gorgeous and likely to draw a pair of eyes from across the room, individuals are simultaneously wearing a piece of contextual culture, a piece of history. However, we at SilverTribe are firm believers that the kind of beauty and inspiration found from wearing a sterling silver necklace should not merely be easy, but it should be affordable as well. 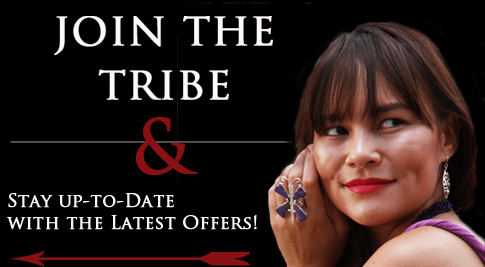 Learn more about the SilverTribe mailing list by visiting our homepage, and receive exclusive offers, monthly giveaways, and access to superior sales – for FREE. Although finding the perfect sterling silver necklace is crucial for completing any jewelry collection, it’s merely a piece to creating your unique expression of beauty, personality, and individual history. Be sure to explore our enormous selection of sterling silver earrings, pendants, bracelets, buckles, bolos and so much more.